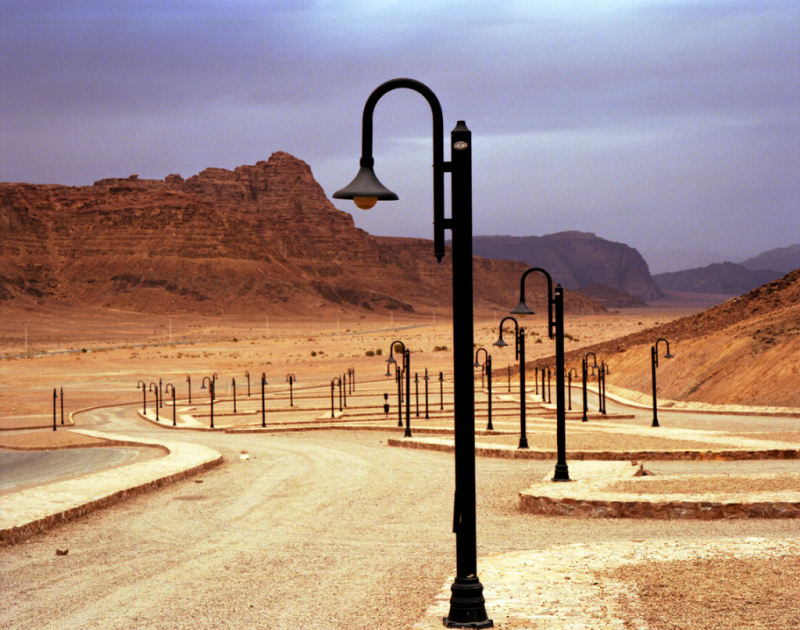 My piece is called “Wadi Ramm,” a desert shot of black lampposts in a yellow landscape. I am fascinated by the relationship between man and his surroundings. Every interaction we have with the land leaves a mark, a new reality. The incongruities of these new realities – our fingerprints – can be beautiful, whimsical, destructive. We must be more conscious of our coexistence with our world, and show it some love.